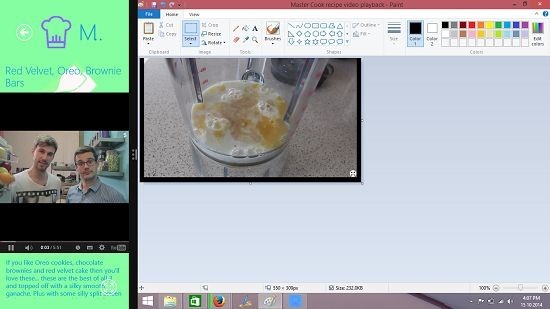 Master Cook is a free video recipe cooking app for Windows 8 and 8.1. The app is designed to fetch feeds of recipes from various websites, and these are no ordinary feeds – these are video feeds of recipes which you can make at home and relish them while doing the same. The main interface is a host of tiles which you can click on to play back recipe videos of the recipe name which you just clicked. The app overall has a great feel to it in its entirety and makes for a great video cooking app. Master Cook is available from the Windows App Store for absolutely free. 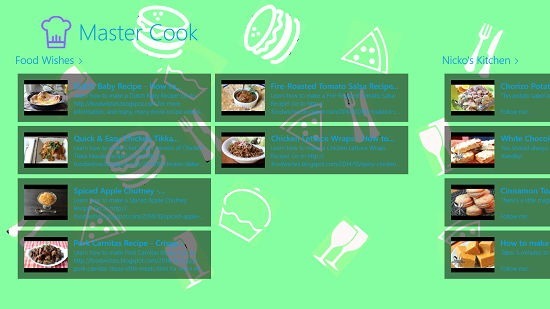 When you launch the Master Cook app on your Windows 8 or 8.1 device, be prepared to witness the below interface. Above, you will be able to see the various tiles of the different recipes which you can click on to see their instructions accompanied with a video of the same. 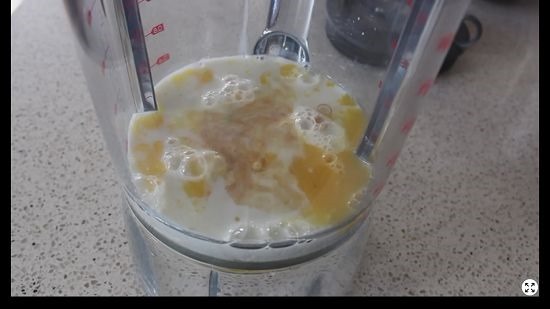 Be prepared to see a video player interface upon clicking on a recipe where you can see details about cooking or creating the particular recipe which you want to cook. The video player is the standard deal with all the playback controls at the bottom and an option which allows you to toggle to full screen interface at the bottom right. In the full screen layout, you will be able to see the video as can be seen in the screenshot below. Multitasking is also available in the app as it allows you to easily snap itself to any side of the screen, thereby making it extremely convenient for you to keep working on something else while watching the video at the same time. You can see me easily multitasking in the screenshot shown below. At any point of time you can go back via the back button at the top left to the previous screen that you were on. This sums up all the features of Master Cook app for Windows 8 and 8.1. 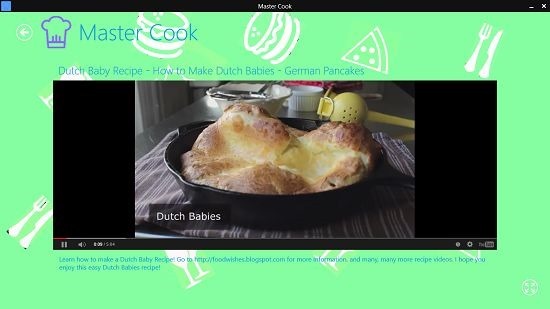 Master Cook is a pretty decent and well designed app that caters to the needs of all the people who are looking forward to a decent free video recipe app which can be used as a handy companion in the kitchen or for casual cooking as well. The app is pretty well designed and implemented and hence my rating for it would be a 4.5 out of 5!